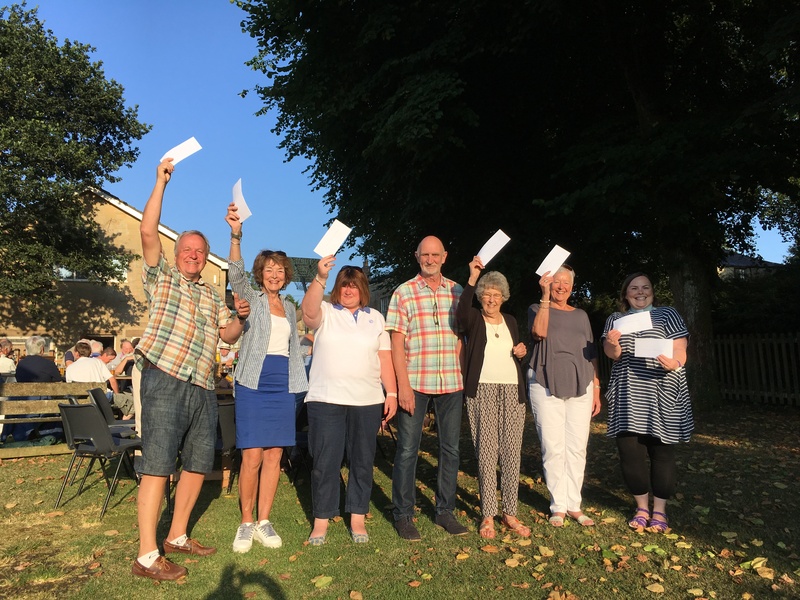 Funds totalling £1,700 have been handed out to village groups and projects following this year’s Broadwindsor Fun Weekend. Broadwindsor Jubilee Group chairman Alan Bunch presented the cheques at a special thank you party for helpers on Bernards’ Place outside Comrades Hall. The weekend was held over 1-3 June and included a scarecrow festival, live music in the village square and a mass drumming session. Mr Bunch thanked all those who had helped at the events, and also during the year when the group raises money to help pay for the annual weekend of fun. He said the primary aim of the weekend was for all villagers to come together and have a good time, so to raise money for local causes was a bonus. David Leader, who is spearheading the MUGA project on behalf of the parish council, said: “The idea for this came from a consultation of residents when the parish plan of 2012 was being developed. “It was identified that there was a need for a sporting area that could be used by the whole community for a variety of sports. “The parish council picked up on this aspiration and worked with the community to identify a suitable site. The school provided the best location and had the massive advantage of providing a fantastic facility for the school and its pupils. “The school were understandably delighted at the prospect of gaining this facility but did make the point that they did not have any funds to contribute – school budgets are incredibly tight at the moment. “A public meeting was held which demonstrated considerable support for the project, a planning application submitted and approved. “Then started the tasks of raising funds and finding a specialist contractor to build the facility at a competitive cost. We are nearly there and this donation will make a wonderful contribution.